Our wish for our guest is to go around Istanbul as free as a tourist and as comfortable as a local. Behind the new buildings of Taksim and Cihangir, you can easily reach down to Çukurcuma, by walk and realize the changing of the atmosphere from modern to ancient. Beyoglu was the first practice of western city planning (1857)of The Ottoman Empire… As the Ottoman Empire Citizens; Levantines, Armeniens Greeks and Muslims lived together in Faik Pasha Street, Cukurcuma.Italian High Schools, Italian Conculate ,Greece Consulate Buildings and Firuzaga Mosque (16.century) are in a walking distance.Cukurcuma is a residential area. The ancient buildings were completely restorated and designed according to the original constructing techniques and former residents lifestyle. During the restoration, the original structure of our buildings were kept. The interior design and the Antique concept were planned respecting the original. These buildings were constructed in XVIII th Century for Italian and Greek owners and this period’s Art Nouveau paintings ,antique furniture,hand made rugs are used for the interior design of each suite.There are 478 original paintings in the Faik Pasha rooms and common areas. Our team’s mission is to provide the homey comfort in Faik Pasa Suites and to serve perfectly. The Reception will be more than happy to give the information on Istanbul’s museums, festivals, restaurants, night life, jazz bars and all artistic activities. 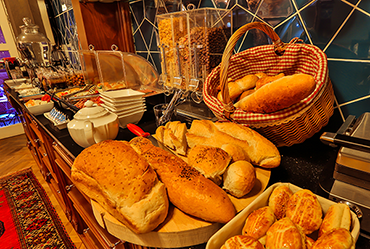 The mission is to give our guests their house’s comfort. To let them view Istanbul from a tourist view and a locals comfort. Our District houses major film, theatre, classic music and jazz festivals and our team is equipped with all the information you would need on all these activities and are very willing to help you. 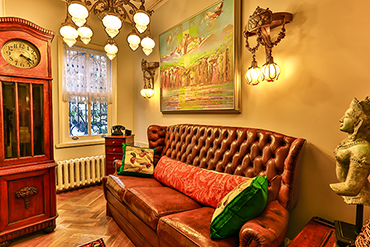 Faik Pasha Beyoglu Boutique Hotels invites you to explore our historical and modern Istanbul.